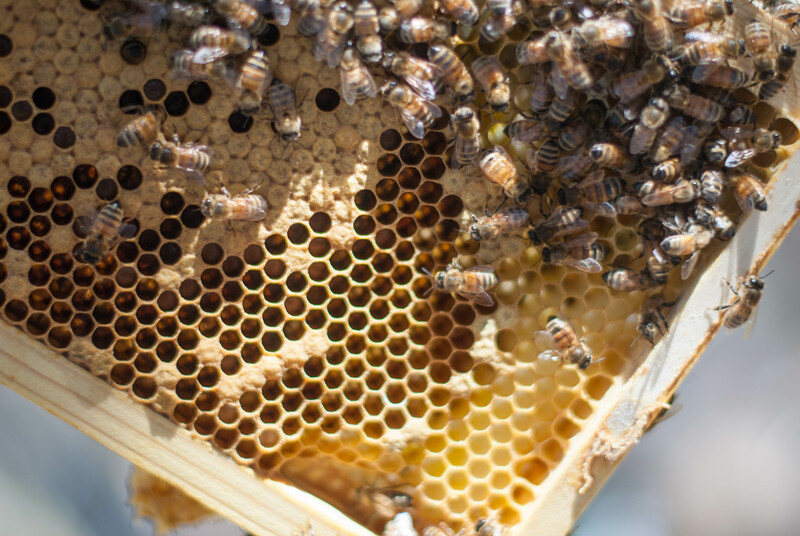 The other day it was so sunny and warm that it seemed like a perfect excuse to open up the beehive and see how they were doing. 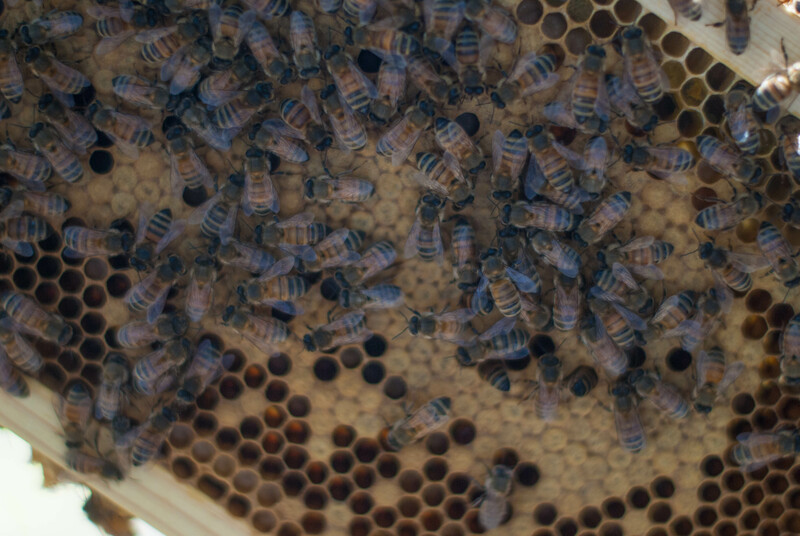 I wanted to check for any indications of swarming (nothing this time) and see if i could find the queen, or, at the very least, signs that she is doing her job. 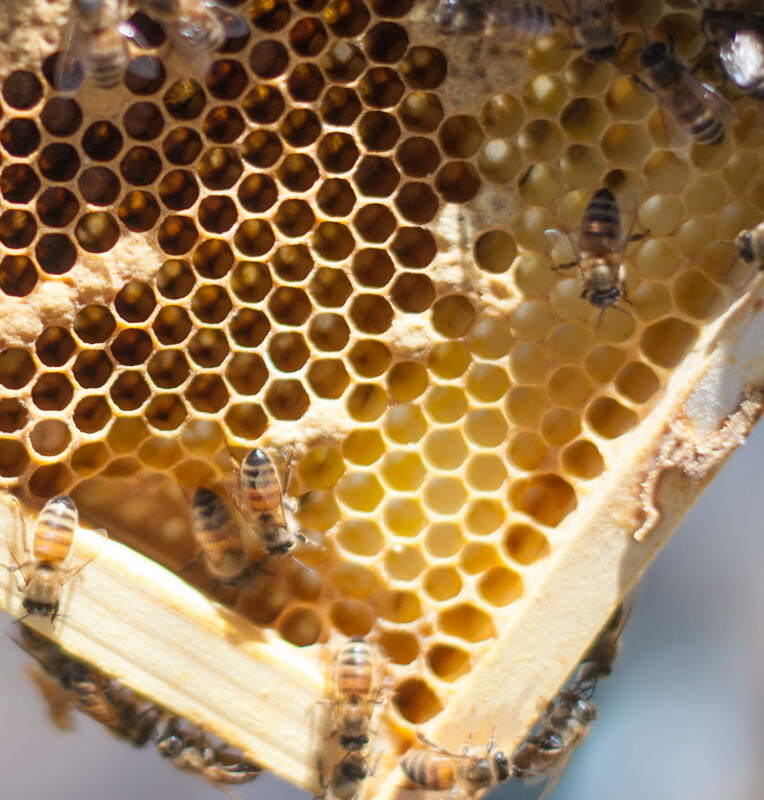 Now, when you crack open a hive and start pulling frames to check everything, you want to be as quick and efficient as you can, so as not to disturb the bees more than necessary. This has been a challenge for me, because I just love looking at their work, and I think I move quite a bit slower than I should. By the time I get to the last box to check, they are pretty pissed at me! But how can you not stop and marvel at their work! 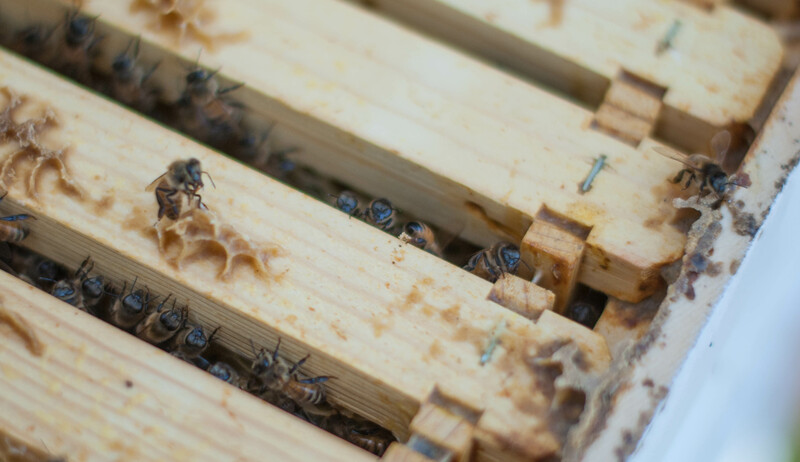 The good news is that although I didn’t spot the queen, I did see plenty of eggs and larvae (if you look close in the pic above, you can see the blurry white in the bottom left cells – larvae! ), which means she is there, and she is active. I also spotted many, many bees returning to the hive laden with bright pollen. With all the spring flowers in bloom, it’s a honeybee smorgasbord! I’ll be adding a queen excluder soon as their production of honey kicks into high gear. In the meantime I’m keeping an eye out for possible swarm activity. If it happens, I have a whole empty hive waiting to become a second colony. After checking the bees and putting my gear away, a neighbor stopped by to talk about llamas 9she knows someone trying to re-home three….so very tempting! ), and as she was leaving she told me how much she loves our place, and that it’s everything she wants. It was such an amazing compliment, and all I could say was “me, too”. Here’s to a beautiful spring and summer to come!